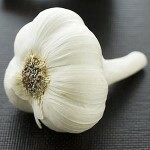 Garlic: Is it more than a food and a spice? FDA warns against using quinine to treat leg cramps. Options, please? Intermittent claudication is a diagnosis for muscle pain (ache, cramp, numbness, or sense of fatigue) typically in the calf muscle, which occurs during exercise and is relieved by a short period of rest. It’s one of the best-researched, best-selling herbal remedies. But what do we really know? The U.S. Food and Drug Administration advises not to purchase or consume Total Body Formula in the flavors of Tropical Orange and Peach Nectar, or Total Body Mega Formula in the Orange/Tangerine flavor. Abdominal massage using two drops of lavender (Lavandula officinalis), one drop of clary sage (Salvia sclarea), and one drop of rose (Rosa centifolia) in 5 mL of almond oil was more effective than no treatment or almond oil alone. The FDA is cracking down on companies that sell quinine-containing products such as Qualaquin for non-approved uses. Their concern is over the risks of quinine to treat leg cramps.